Planning a destination wedding? We have some of the most luxurious Event homes on the Soundfront and Oceanfront! Let us help you and your extended family find the perfect retreat to share in your special day. Brindley Beach has vacation homes in all price ranges, from 2-18 bedrooms, and offer amenities such as a private pool, hot tub, recreation room, theater room and access to some of the most pristine beaches on the east coast, we are sure to find something for everyone in your party. Need to plan ahead? Most vacation homes can be reserved up to 51 weeks in advance! 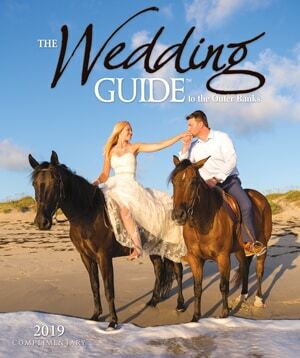 Call one of our friendly Outer Banks Vacation Specialists to discuss the possibilities for your destination wedding!